Don’t laugh: the sleeper car has a few aces up its sleeve, the most notable of which is an engine boosted to 600 hp (447 kW). The tuners behind the project claim it is no less potent than Lambo’s own 5.2-liter V10 with its 610 hp (455 kW). 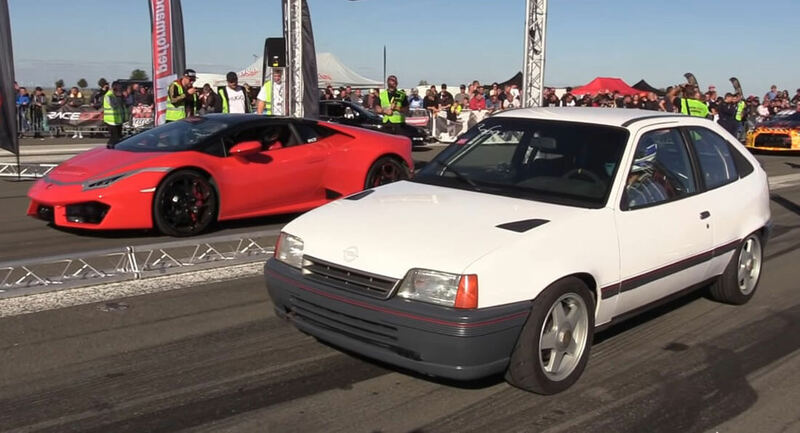 After the warm-up race with the Italian track monster, the Opel Kadett proceeds to challenge a Porsche Panamera, a Volkswagen Golf Mk2 boosted to 850 hp (634 kW) and a few other cars. Watch the video to see how it all went.